The fragrance world is shrouded in secrecy. Ever wonder why fragrances don’t list their ingredients? Well, the FDA views fragrance formulas and scent combinations as proprietary “trade secrets”, and doesn’t require fragrance brands to list ingredients on their labels. Great for brands, but not so for us customers. This lack of transparency leaves us unable to know whether our favorite perfume contains harmful chemicals, like endocrine disrupting preservatives and phthalates used to make scents adhere to skin, lift and linger in the air. But things are about to change. 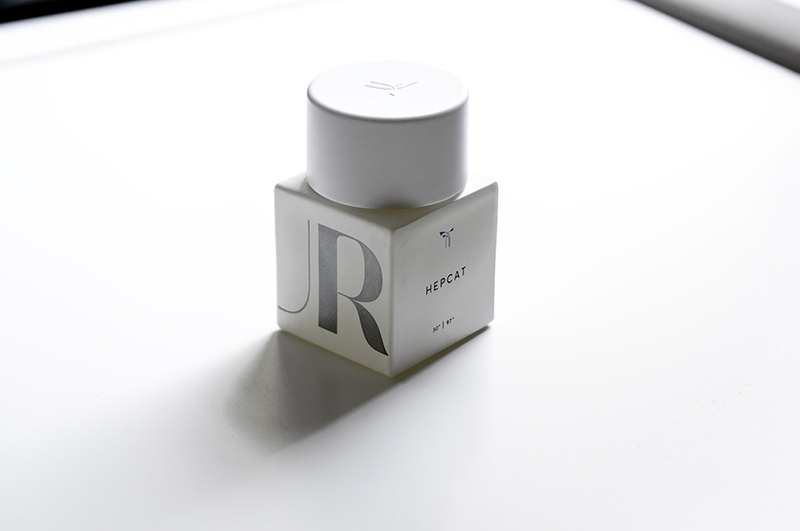 A new nontoxic parfum brand is on the scene and bringing with them full transparency. Say, hello, to Phlur. Phlur offers seven scents made with a mix of synthetic and natural fragrances, and provides full ingredient lists of all of their perfumes! No hidden harmful chemicals here! At first, I was a little skeptical of their use of synthetic fragrances and worried they might be overpowering, but after testing their scents I found their blend of synthetic and natural scents harmonious. It also seemed to make their fragrances last longer than other natural scents I’ve tried and pack more intensity. Each parfum comes in a gorgeous opaque glass which acts as a protector from light, stabilizing the scent. On the Phlur website, you’ll be able to choose three fragrances to sample in the comfort of your home for $18 (this fee goes towards future purchases). You’ll receive three 2ml sample fragrances – enough to test out each fragrance every day for a week. Then once you find one you like, you can order it online and have it sent to your home! Easy, peasy. Greylocke: Refreshing pine and earthy vetiver ring out strong in this scent with a hint of woodsy birch. The bergamot is barely perceptible. This one feels masculine, sporty and more cologne than parfum. Hepcat: Smoky tobacco notes swirl amongst the heady oud and earthy vetiver. This scent is my favorite of the ones I tried. It has just enough spice and just enough woodsy, earthiness to feel fresh and coarse at the same time giving it a complex, sophisticated feel. Love this scent! Siano: Soft floral notes (ylang ylang) with a hint of citrus (mimosa) that feels feminine, yet exotic. Perfect for date night. If you’re interested in trying a sample set of Phlur fragrances, feel free to use code AMY10 for $10 off of your sample order. Go here to try out Phlur!